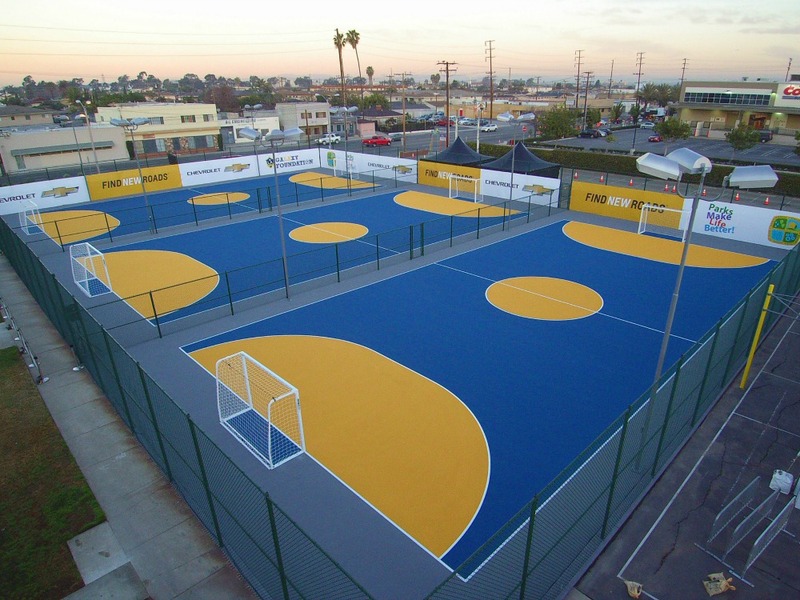 Chances are you have wondered where the coolest places are to find a game of pickup in Los Angeles. 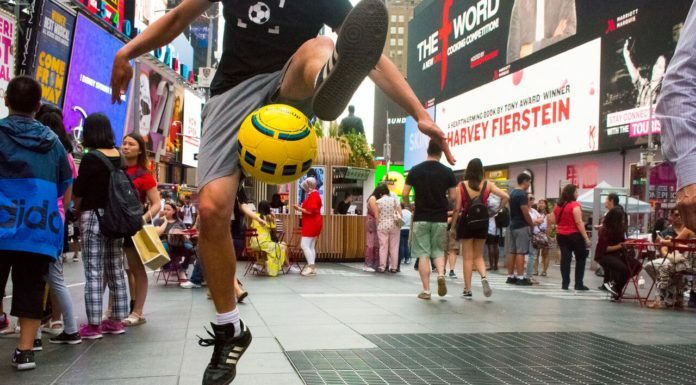 Whether your preferred pitch is under stadium lights or on scuffed streets, there is one thing that never changes from field to field—the joy of playing. The great feeling of victory, the sting of defeat, the pleasure in a good pass and gut-turning one when you mishit, are all part of the drama we seek in the beautiful game. Environment is a big factor when it comes to how much we enjoy playing. Having played in many locations in the greater Los Angeles area myself, I discovered how each place, through its physical environment and level of competition, changed my attitude toward the game. So to help every type of player find his/her sweet spot, I came up with my personal list of the best places for pickup in L.A.
Lanark Park is a hidden dime in the western part of the San Fernando Valley. 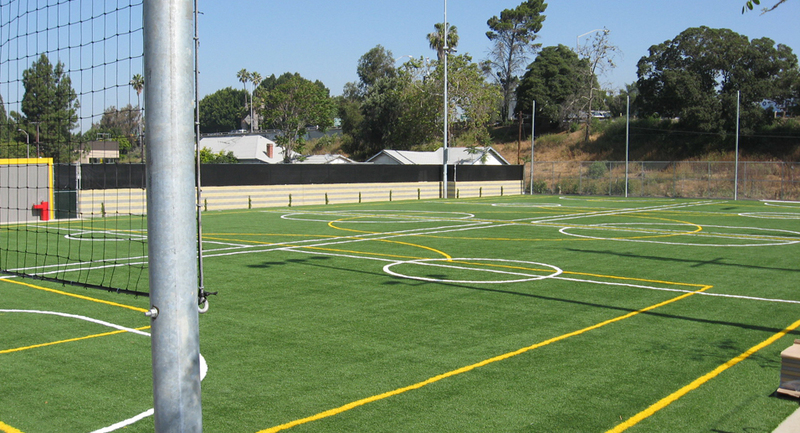 This recreational park offers pickup and 7×7 league games on a turf field under stadium lights. There are also side games on both concrete and grass. The competition varies from beginners to current professionals. Even though this park might sound perfect, there is one terrible thing about it. There is a pervasive, delicious scent of fresh danger dogs being cooked. If you don’t know what a danger dog is, Lanark Park might be your kryptonite. This park is definitely one of my favorites. 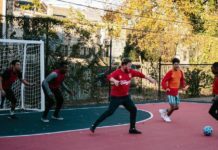 There are three sleek outdoor futsal courts, and word on the street is you can usually find a Sunday night game being organized. If you are looking to get involved in some high-level street ball, this is definitely the place to do it, as it’s a regular pit stop for skilled street crews. 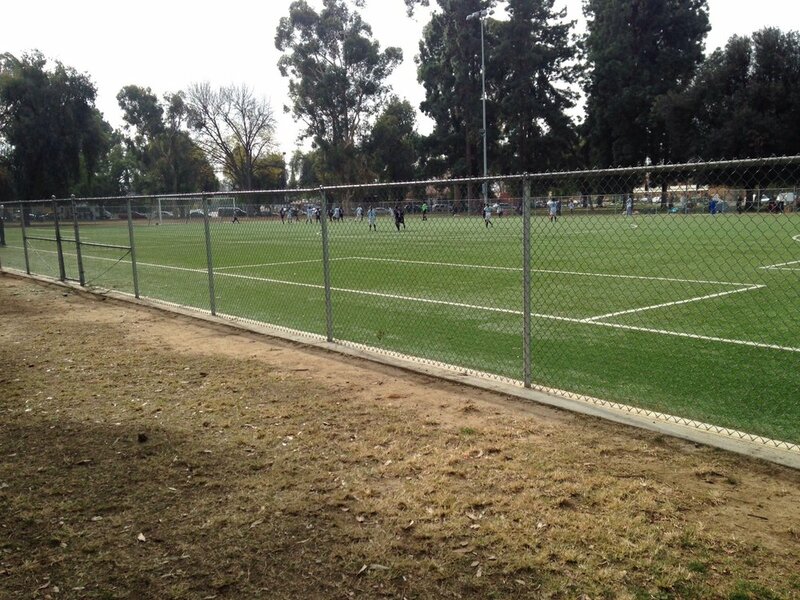 This popular turf field is located across from Camino Nuevo Charter Academy in Silverlake. 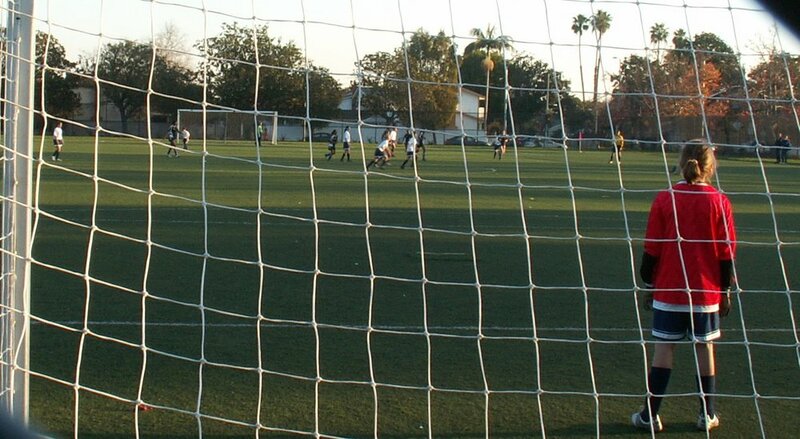 It’s a mostly hidden field that can be seen off the side of the 101 going toward Downtown L.A., but almost always has a few ballers on the pitch at any given hour of the day. The small-ish field is great for 7v7 and a fun spot to meet some local ballers. 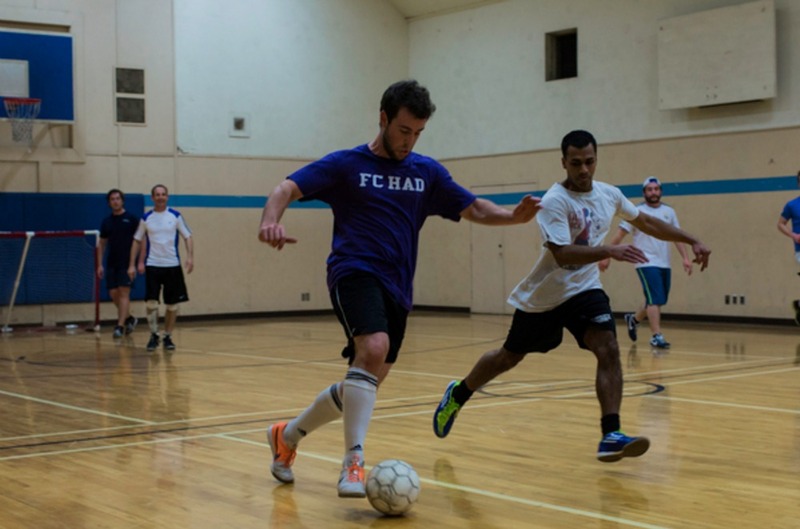 If you’re looking to meet new people and get in some exercise, Coed Sports LA is a solid source for both. 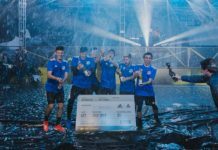 The group, which is organized via MeetUp.com, offers futsal 1-2 times a week, as well as outdoor leagues, and a variety of other team sports. They are always looking to organize as many games as folks are willing to attend, and beginners and all experience levels are welcome. Of course we couldn’t do this list justice without mentioning our own dope, state-of-the-art facility that will be opening in Downtown Los Angeles. Anyone who has been to our former spot knows we are all about urban culture and creating a fun, hassle-free vibe. 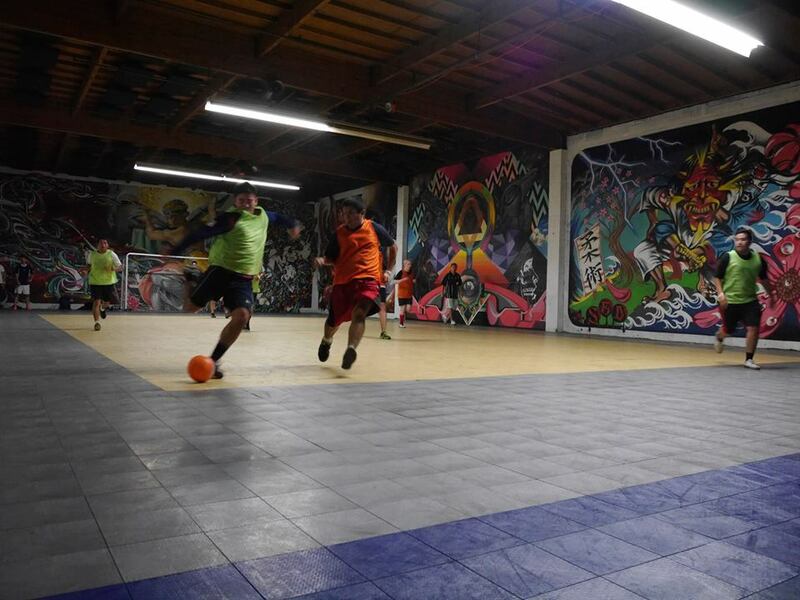 UrbanFutsal LA features a mix of open play, organized leagues, and tournaments. 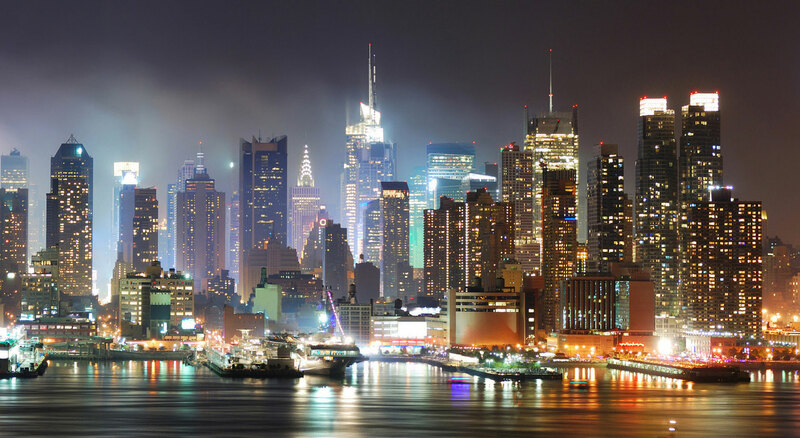 It hosts the work of world-renowned graffiti artists and muralists, and is home-away-from-home for nearly all the local freestylers and street crews. We’re a friendly bunch that tries to make the spot open for all skill levels. Plus, it’s just a cool place to hang! 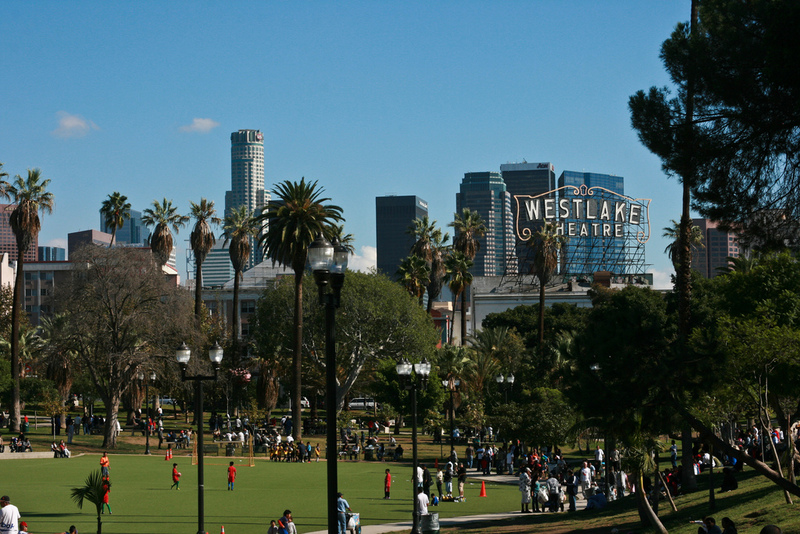 Located on Wilshire and Alvarado, this park is always popping off with some soccer, and is usually surrounded by joggers, families, skateboarders, and football fans. 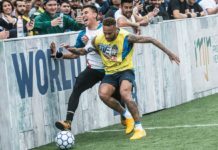 They have a grass field with big goals and the fanbase really does like to get involved. This is the quintessential authentic L.A. experience, with all the sights, sounds, and personalities you could ask for. No one can ever complain about playing some ball on the outskirts of Santa Monica! This rec center might just have the best weather for outdoor football. Feeling the ocean breeze from the Pacific Ocean, this park has become a popular spot for pickup on the west side of L.A.
Know of a good place for pickup? Let us know in the comments below!